Can Our Brains Grow? Does Mark Twain Know? It’s not what Mr. 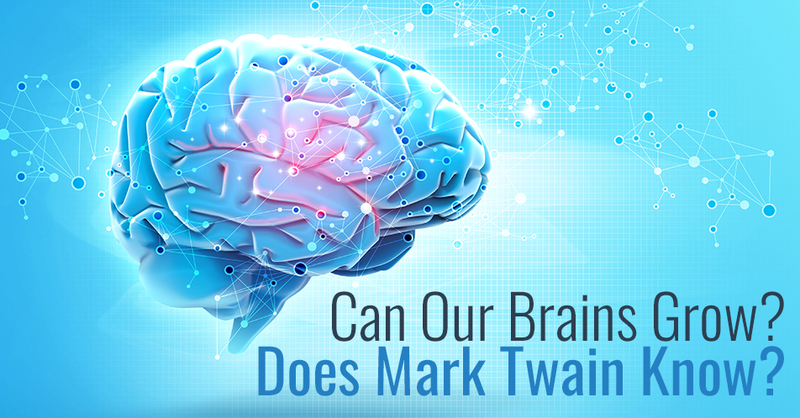 Twain meant, but it has long been questioned whether an adult human brain can “grow” or develop new brain cells (neurons) over time. In 1928, Cajal, the father of modern neuroscience wrote that once brain development ended, the nerve paths were fixed and could not regenerate. 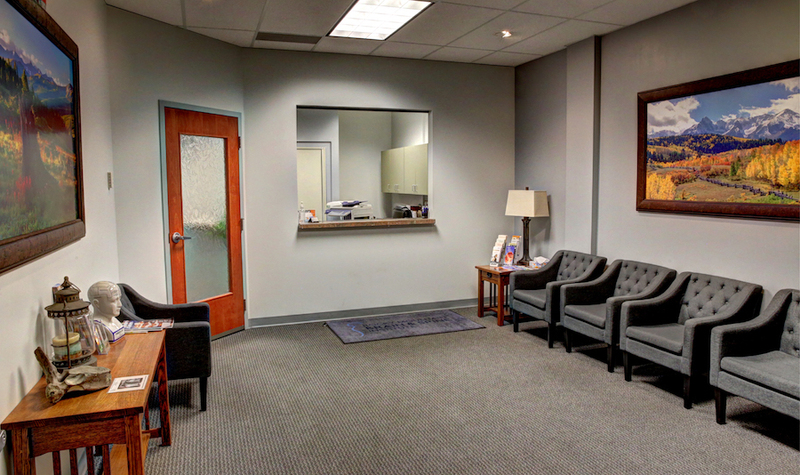 This was supported in following decades by clinical observations in conditions like stroke or Alzheimer’s disease in which patients have brain regions die without recovery. However, in modern times, scientists have questioned whether this was true. Some research has suggested that “neurogenesis”, or the creation of new brain cells, could occur in certain areas in both adult animals and humans. Areas in the temporal lobe, such as the hippocampus, reportedly can make about 700 new cells daily, which may account for learning and memory in adulthood. This finding, however, is based on postmortem and biomarker studies which cannot always be extrapolated to living people. In a new study of the hippocampus and frontal lobe from the University of California at San Francisco, ongoing neurogenesis is not being confirmed even in living brain tissue. As opposed to there being an infinite amount of sprouting nerve cells, there appears to be a very finite amount. By adulthood, nerve regeneration in the hippocampus or olfactory bulb seems to stop. Critics argue back and forth on the topic. 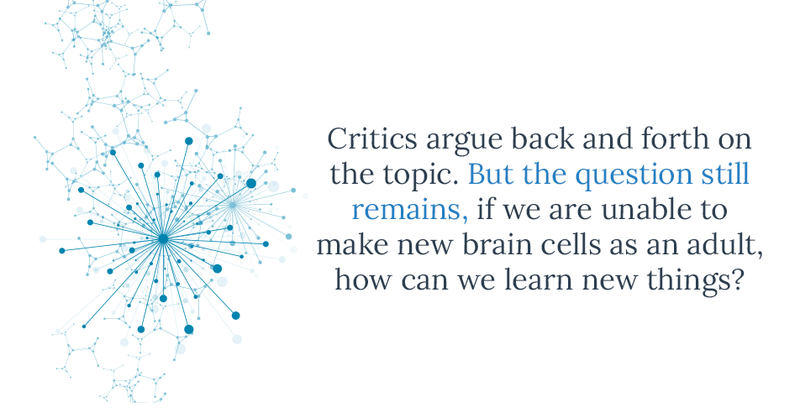 But the question still remains, if we are unable to make new brain cells as an adult, how can we learn new things?